Beaver Dam, KY – Lafayette St.
Bellevue, KY – Lafayette Ave.
Brandenburg, KY – Lafayette St.
Cadiz, KY – Lafayette St.
Hopkinsville, KY – Lafayette Rd. • May 8–9 – The steamboat Mechanic, conveying Lafayette to Louisville/Kentucky, sinks on Ohio. All passengers reach shore safely, but Lafayette loses property and money. May 8, The Marquis de La Fayette and his party spend the night on shore in Cannelton /Indiana and is picked up the following day by the passing steamboat Paragon. • May 11 – General Lafayette and his party cross the Ohio River on the General Piketo from Louisville to spend a day in Jeffersonville, IN. guests of the Indiana Governor. He returns to Louisville that evening. May 12, 1825 – A crowd of 10,000 greeted the Marquis de La Fayette in Louisville. This evening, he will meet with Masons of Louisville’s two lodges, Clark Lodge and Abraham Lodge, at the Clark Lodge. Later still, there is a grand ball. 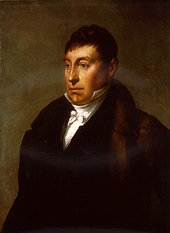 May 13, 1825 – The Marquis de La Fayette and party left, embarking on a tour of central Kentucky. They journey down the Old State Pike to Shelbyville for the night. 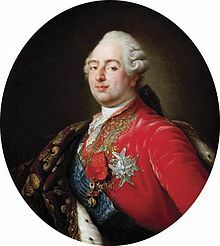 May 1825- Marquis de La Fayette attends dinner and a ball. Here on May 14, 1825, General LaFayette was entertained by Major John Keene who had served as his aide-de-camp during the Revolutionary War. • May 20, 1825 – Cincinnati, OH. Midnight. The Marquis de La Fayette boards steamer, for upriver trip to West Virginia. • May 21 –Lafayette is Back in Maysville/Kentucky. On his way to Gallipolis, OH and Wheeling, WV the Marquis de La Fayette visit the town for several hours in the afternoon. • May 24 – Visits Wheeling, Virginia now in West Virginia.